I am so fortunate to live in a city that has multiple professional sports teams, college teams, amazing restaurants and fabulous shopping. 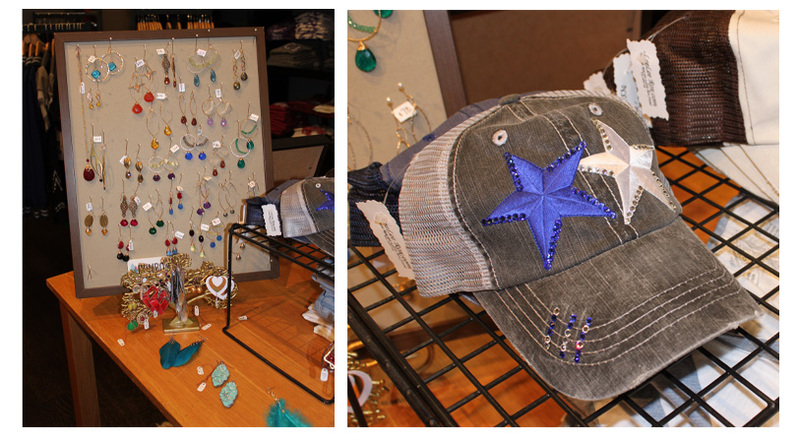 Dallas is truly my mecca for all things that I love - fashion, food, and football. One of Dallas' premiere shopping and entertainment venues, is The Shops at Legacy. I recently had the opportunity to interview the owners of one of my favorite Shops at Legacy, Gameday Cloth. Gameday cloth is not your typical sports clothing retailer. Thank god! (The lighting alone at Sports Borethority is just awful. Don't even get me started on the clothes.) 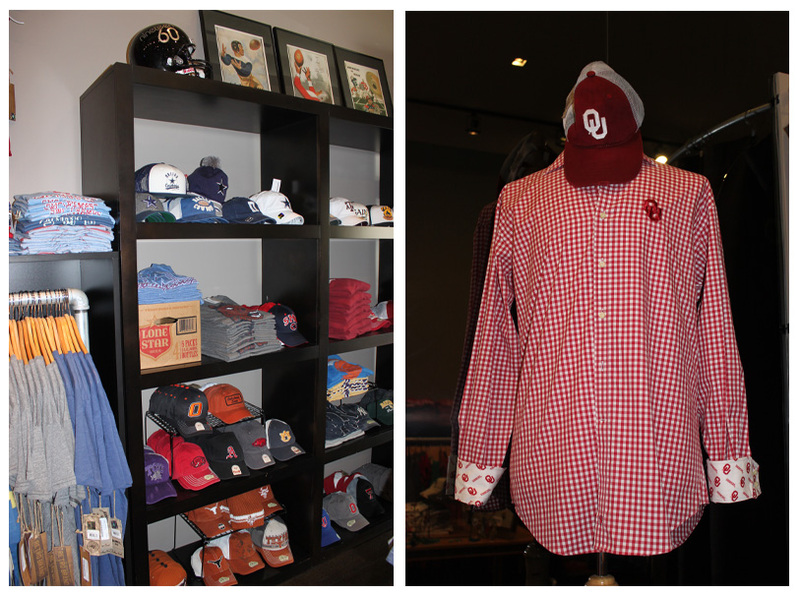 As soon as you walk into Gameday Cloth you notice the boutique feel, you notice the flattering lighting, and the vibe - which is all-around friendly and stylish. They regularly host happy hours and have a permanent beer fridge in the back. It truly is the "Home of the Stylish Sports Fan." Southern Methodist University Alumni, Jana Mathena and Scott Boyles started Gameday Cloth online in 2009, when Jana, (like so many of us) couldn't find anything sporty and fashionable to wear to an upcoming SMU football game. Jana is the fashion brains and Scott is the business brains behind the concept. What a perfect pair, like blue cheese and hot wings! Shortly after the website was born, the store followed in 2010. Gameday Cloth offers apparel and accessories for 30 NCAA Football Teams as well as NFL, MLB, NHL, and NBA teams. Their stock is always evolving. Jana told me that she, "tries to find brands that are local and that offer sustainable, trendy designs." All of their dresses and t-shirts are very flattering and super soft, with a vintage feel. They also carry fun accessories - hats, sunglasses, and jewelry. Each item they sell is handpicked by Jana and Scott to reflect a "lifestyle brand". While I was there, I couldn't leave empty-handed. I picked up two Mavericks tees, one for me and one for the hubby. I have a feeling the OU dress shirt below may end up in his closet too. During the interview we bonded over our mutual love of tailgating, how we live for gamedays and the feeling of community that they invoke. I love their gameday tradition which Jana said consists of, "For early games, we gather at The Boulevard and tailgate with our friends. We love Taco Cabana breakfast tacos with some Trop 50 and champagne." Their dream one day is to convert a vintage air stream trailer into the ultimate tailgating machine. How cool is that? If you live in the Dallas/Fort Worth area and you are any type of sports fan, their store is a must-see. If you aren't in the area, check out their website, I know you will find something stylish for gameday.